Dance music was so much more interesting back in the eighties don't you think? It's been extremely difficult finding much information dance act from the 1980s, but I do remember dancing to this one (think of the worst kind of dad dancing you've ever seen - that's me!) in the clubs. Typically, the track features bucket loads of samples, which was pretty much what the majority of dance acts were using at this time. However, this wasn't without its problems. 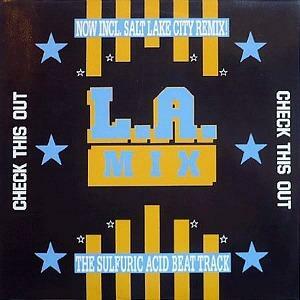 A sample of "You Don't Know" by Serious Intention got L.A. Mix into trouble with Easy Street Records and they had to cough-up $15,000. 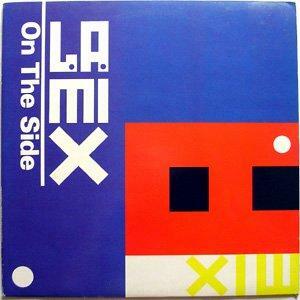 Check This Out peaked at #6 in the UK in 1988 and, contrary to popular belief, the L.A. actually isn't Los Angeles, but Les Adams who produced, mixed and engineered the track, alongside Emma Freilich. 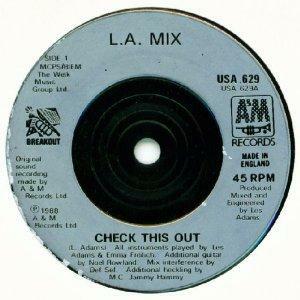 Other 80s tracks released by L.A. 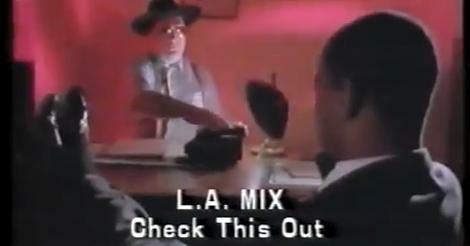 Mix were Love Together (ft. Kevin Henry) in 1989 and Get Loose (ft. Jazzi P) also in 1989. The dance act released two albums; On The Side in 1989 and Coming Back For More in 1991. The group's only other Top 40 British hit was entitled Get Loose and reached #25. It featured a rap by Wolverhampton rapper Jazzy P (Pauline Bennett) who appeared in Channel Five's Big Brother in 2014. She also rapped on Kylie Minogue's 1991 hit Shocked.